The votes have been tallied. The judges have weighed in. A battlefield of twenty-seven startups was whittled down to a final, elite group of seven. 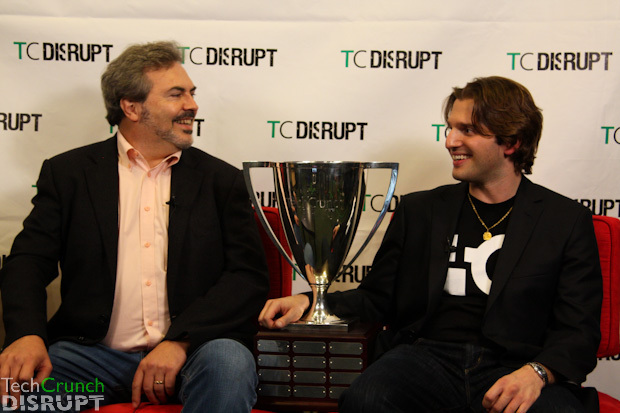 And now the winner has been chosen: Qwiki has taken the top prize at TechCrunch Disrupt San Francisco. Taking the runner-up spots are CloudFlare and Pinger, both of which were also very impressive. Qwiki climbed above the rest by offering a new way to consume information: text, audio, video, and images melded together in a seamless interface, generating a dynamic movie of whatever you search for. It really does seem like something from the future, and it’s only going to get better. Qwiki Just May Be The Future Of Information Consumption. And It’s Here Now. And while only one startup can claim rights to the Disrupt Cup at a time, this was an incredibly solid field of companies, and we want to reiterate that it was a very close race. Many of the companies that took part in the Startup Battlefield are going to be doing great things.